Home/General Dog Training/The only thing two dog trainers can agree on is that the third trainer is wrong! 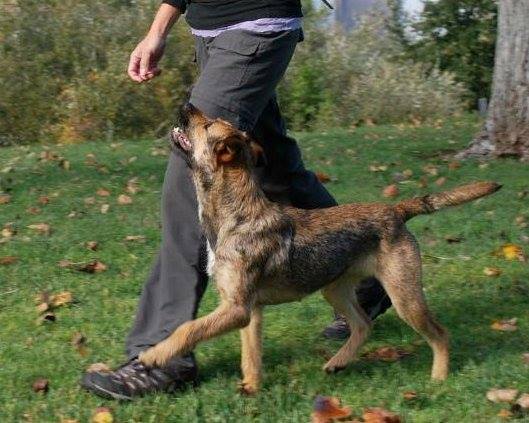 The title of this post is one of my favorite quotes about dog training that I have heard over the years. These days there are more so-called and self-described “experts” found in every nook and cranny of the internet, forums, Facebook, blogs, and chat rooms than you can shake a stick at. So how do you know which dog trainer, training school, or training plan is right for you and your dog? Some time back I made the mistake of joining several dog groups on Facebook. Some of them were for trainers and some of them were for owners, but they all seemed to have issues in common. There are huge debates that flood all of these pages about training tools, collars, and training methods. In one camp you have the “purely positive training” believers. This is largely focused on the concept known as reward-based training. Based on principles of operant conditioning this trainer uses Positive Reinforcement (R+) and/or Negative Punishment (P-). Positive Reinforcement (R+) rewards the behaviors that we want to teach or encourage by awarding the dog something he wants or enjoys. Conceptually by rewarding the dog we increase the chances that the dog will repeat the behaviors that we are trying to teach. For example if the dog sits on command, we give it a treat; thereby increasing the chance that the dog will sit the next time we want the behavior. Negative Punishment (P-) is the act of removing something the dog wants as a way to decrease the bad or unwanted behaviors. As an example if you are about to give the dog a toy or treat and the dog begins to jump up on you then we withhold the treat or toy or put it away. 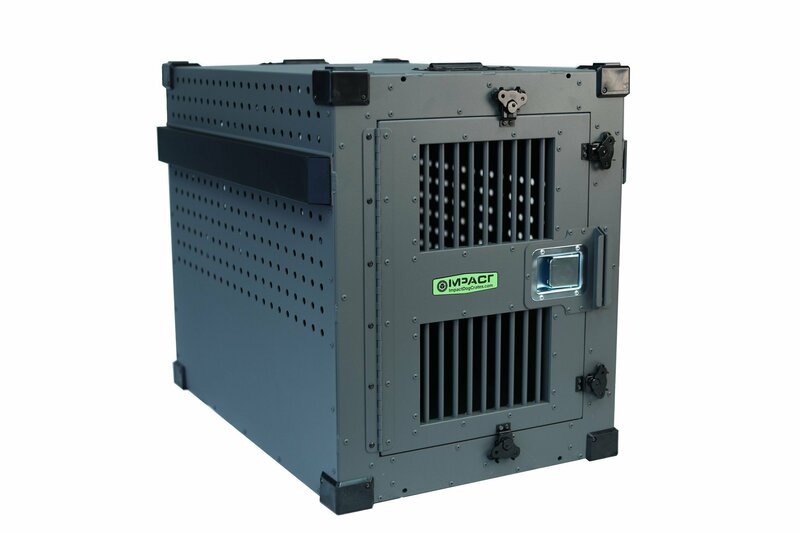 The concept is that we are trying to get the dog to associate the act of jumping as a trigger for losing what it desires thereby decreasing the chances that he will repeat the behavior in the future. It is from this camp of trainers that you often hear recommendations for equipment such as head halti’s, harnesses, gentle leaders, etc. 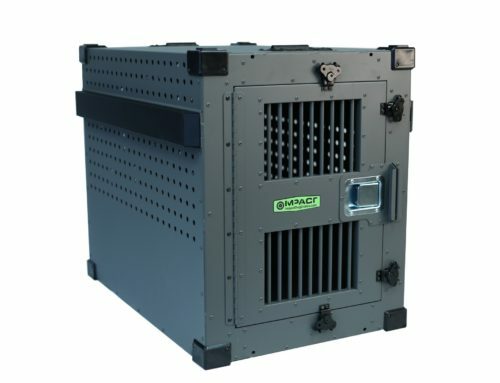 This equipment most often serves its purpose, however it serves more as a restraining device instead of a training tool. In fact the dogs will not “learn” the correct behavior at all and in most cases will continue to be unmanageable without wearing the device. The next training camp subscribes to the Aversive Training Techniques otherwise known as Compulsion. 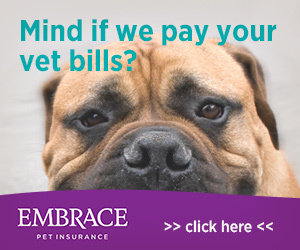 Conceptually they work on the idea of applying or removing something the dog finds unpleasant. Based on principles of operant conditioning this trainer uses Negative Reinforcement (R-) and/or Positive Punishment (P+). Negative Reinforcement (R-) removes or withholds something when the dog provides the desired behavior. If I push down and continue pushing down on the dogs back until it downs and release the pressure as he downs that is an example of (R-). Positive Punishment (P+) is the practice of applying something the dog does not like in response to a behavior. The underground electric fence would be an example of (P+). The dog walks to the property markers and an electric stimulus or shock is administered thereby decreasing the chance the dog will go near the property marker again. The final camp of trainers are known as Balanced Trainers. A balanced trainer will use methods from both of the other training camps to achieve the goals. In other words they will praise or reward good behavior and punish or correct unwanted behavior. I have been involved in the dog-training world for just over 15 years and have worked with hundreds of dogs. More than some trainers, less than others. I have worked with police dogs who have drives that are off the charts, dogs with behavior problems, emotional problems, animal aggression, people aggression, etc. I have have been blessed with the opportunity to work with some very knowledgeable trainers over the years and have studied many others online, in videos, and in books. I have learned that there is more than one way to train a dog. What works for your dog may not work for mine. What works for 99 dogs, may not work for number 100. This is one of the reasons that the Facebook forums are so frustrating. I so often read horrible advice given by good intentioned people who really believe that they know what they are talking about but they know nothing about dog psychology, drives, instincts, and behaviors. When I teach classes for police dog handlers one of the first things I tell them is to pay attention to every trainer they come into contact with and try to take something from them they can use later. I use the analogy that their dog handling and training skills are like a toolbox and every trainer they come across is like a hardware store or specialty store. Try to fill up your toolbox with tools from as many different stores as you can so that when you are faced with a unique job you will be equipped to handle it. I may not agree with every other trainer or their methods but I have learned some very valuable techniques from people I fundamentally disagreed with. As a police officer it should be no surprise that I think there has to be some form of punishment or negative associated with bad behavior. Even the positive only training camp will basically starve a dog so that they can increase its drive for the reward only feeding it the daily allotted food during trainings. Starvation is a form of a negative if you ask me. 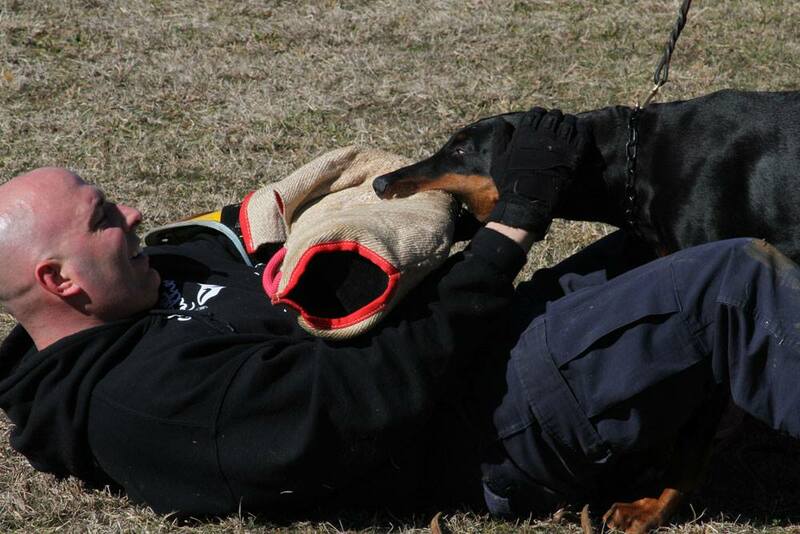 But with that being said the absolute most important ingredient in a dog-training program is the praise or reward. Praise is what motivates the dog to work, praise is what sets the mood, praise is the payment of the dogs life, and the reason for being. I tell people to aim for a ratio of at least 5 times more positive than any negative. No matter which training camp someone believes in the concepts of marking behaviors exist. We try to mark good behaviors with praise/reward and bad behaviors with some form of bad whether it is a correction or a withholding of something. Not only should we reward a good or desired behavior but we should reward when bad behavior stops. 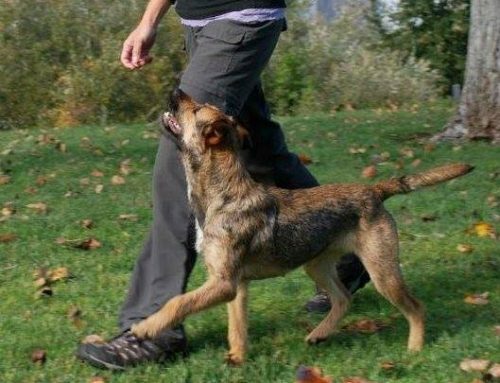 The closer we can get to marking the exact moment a behavior takes place the better the dogs ability to understand what we want. 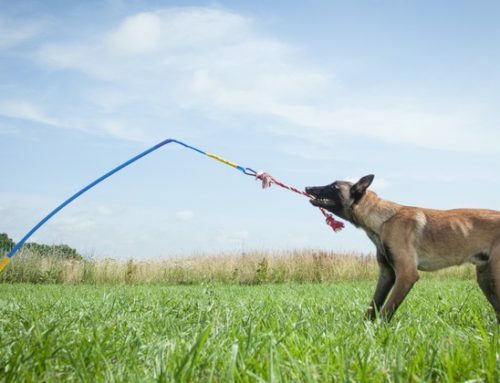 When we reach a point in training where the dog is making its own decisions to achieve the goal instead of being forced or moved by some type of force (lured, pushed, pulled, etc.) it is then that we really start to see the light bulbs turning on in the dogs mind. This is my favorite moment, this is the moment that we see understanding, this is the moment we are really communicating. So now I am back to my original question: So how do you know which dog trainer, training school, or training plan is right for you and your dog? Before you hire a trainer do your research, ask for references, find out information about them, call and talk to them. Decide if what they tell you makes sense to you. 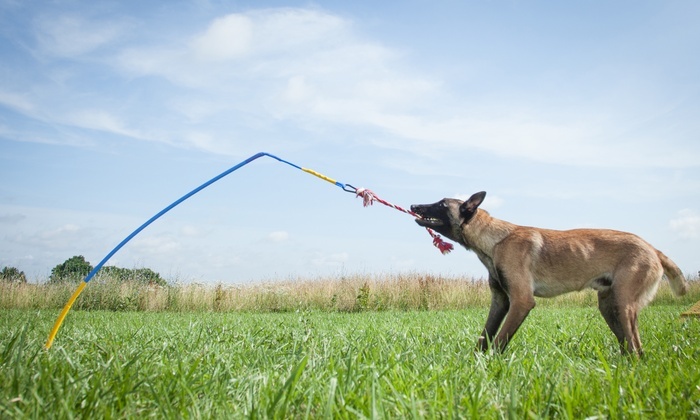 Some corporate training programs apply a “cookie cutter” methods and assure you that the method will work with all dogs and will try to convince you that if you’re not getting results it must be because of your commitment or application of their methods. They are not even allowed to tell you about other training methods. They are not allowed to answer some of the tough questions that you have for them. My goal is to teach you, the owner or handler, what methods are available to you and how to apply them. You choose how you want to train and I will help you to achieve your goals. My toolbox is pretty full but I am always looking for more tools to fill it with. The truth of the matter is that you are going to be the one to train your dog. You are going to be responsible to the success of your training program. You are going to make or break the training. 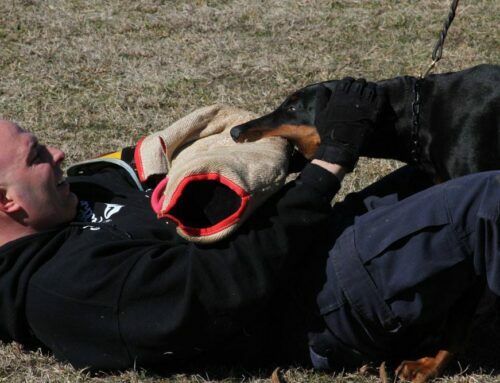 Owning and training a dog is a constant ongoing process. There is no magic pill for training. Dogs are living breathing animals that make their own decisions. Dogs are not machines that respond to a one-time programming. How much time will you spend with your dog? Just remember… The only thing two dog trainers can agree on is that the third trainer is wrong. Good ARTICLE Clay enjoyed the read and you are correct in terms used by sport people ! Yes another excellent point by Clay made in this article about good trainers and the use of the tool box. I know and believe in the tool box view and learning by attending seminars and workshops putting methods back on burner or shall we say tool box for using later because all methods of training or a standard way of training may not work on your dog. All dogs and breeds are different and mature at different rates and what works on one dog may not work for this one. These are very good points which all IPO trainers should understand and practice.